Former heavyweight champion Vitali Klitschko explains to Evander Holyfield why he never wanted to fight him during his career. Both Klitschko and Holyfield it’s safe to say are legends of the sport of boxing. Phenomenal fighters who did it all in the ring, but also excellent ambassadors for the sport outside of it. Two guys who were never one to trash talk during their careers. Unsurprisingly, it turns out this hasn’t changed a whole lot since they’ve retired. The two met up at the WBC convention this week taking place in Baku and when they bumped into each other they were questioned by reporter Elie Seckback straight off the bat. Two of boxing’s good guys now enjoying their retirement. Holyfield has been involved in various ventures since retiring from the sport as an active fighter, including the barbecue sauce business and boxing promotion. 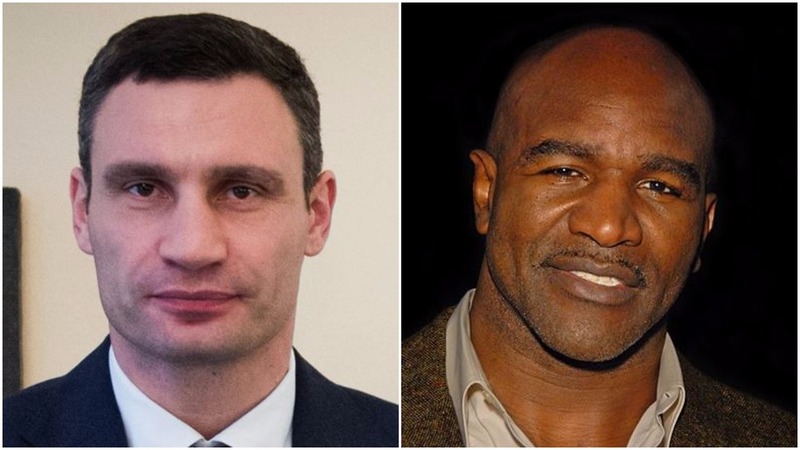 Klitschko is now heavily involved in politics in his home country of the Ukraine.